Russia announced Tuesday it plans to remain affiliated with the International Space Station through 2024, at which point it will undock its modules to create its own, separate orbital outpost. Above: The ISS, as photographed by a crew member aboard Space Shuttle Atlantis (STS-132) on May 16, 2010 | Credit: NASA. 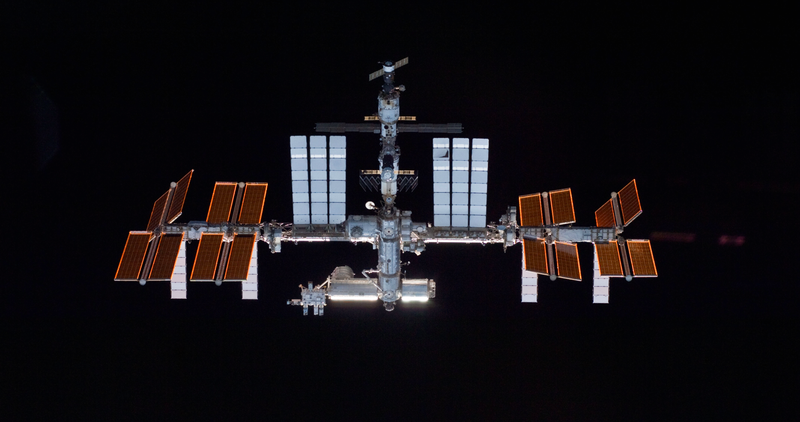 The Obama administration announced in January 2014 that it would support keeping the ISS operational through at least 2024, with a possible mission extension to 2028. Later that year, political tensions threatened to affect Russia's involvement with the ISS beyond 2020 – a bit of a problem, you might say, given that since the termination of the U.S. Shuttle Program, Russia remains the only country equipped to ferry astronauts to the space station. Russia was set to revisit the duration of its involvement with the ISS early in 2015, but an anonymous source told the AFP the country would delay making a decision on its involvement with the station until its government had established new long-term plans for its own space program. A statement posted to the Russian space agency's website said a meeting of the Roscosmos science and technical council considered Russia's future human spaceflight plans, favoring the continued use of the International Space Station until 2024. Then Russia plans to remove its modules from the International Space Station to form an all-Russian complex in orbit. The statement said "a configuration of a multi-purpose laboratory module, a (docking) node module, and a scientific power module creates a promising Russian space station to meet the challenges of providing secure access to space (for Russia)." ...Russia's space program — as described in the Roscosmos press release — will include a series of robotic missions to lunar orbit and the surface of the moon in the 2020s in preparation for a visit by cosmonauts in the 2030s. The statement offered no details on the Russian moon mission. More details at Spaceflight Now.